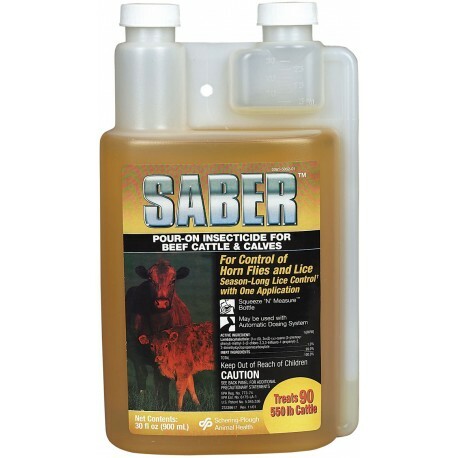 Saber Pour-On from Merck Animal Health is a powerful, broad-spectrum pyrethroid that controls horn flies and biting and sucking lice in beef cattle or calves. Contains the highly bioactive pyrethroid, lambdachalothrin. Long-lasting, ready to use formula features a squeeze bottle dosage indicator. Powerful, quick kill. 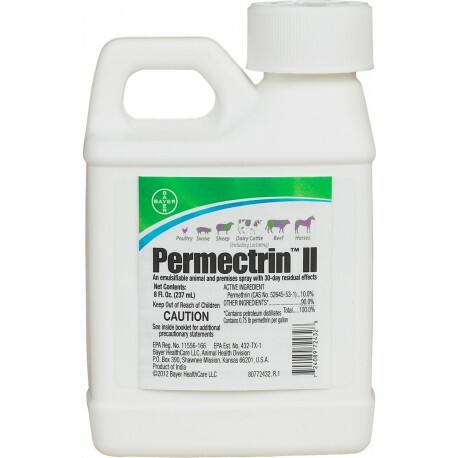 Contains gamma-cyhalothrin, the newest technology in the pyrethroid class and first time used in cattle. Ready to use. 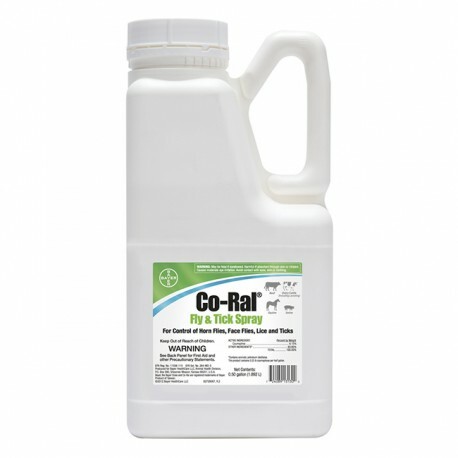 For comtrol of horn flies and lice on beef cattle and calves. Less than 600 lbs-10cc, over 600 lbs-15cc. 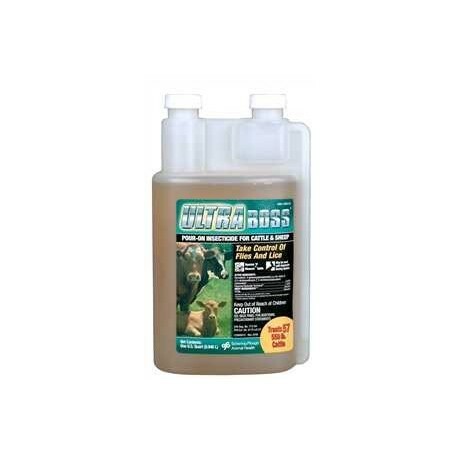 Contains 5% permethrin and 5% piperonyl butoxide for optimum pest control. 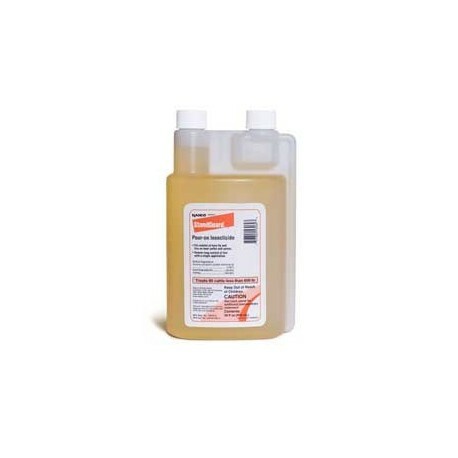 Piperonyl butoxide improves the effectiveness of pyrethroids for a broad range of insects and decreases the amount of permethrin needed to achieve a desired killing effect. 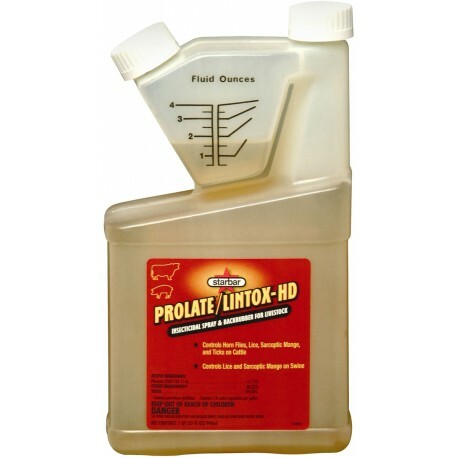 A pour on insecticide for cattle and sheep, lactating and non-lactating dairy cattle and beef cattle. 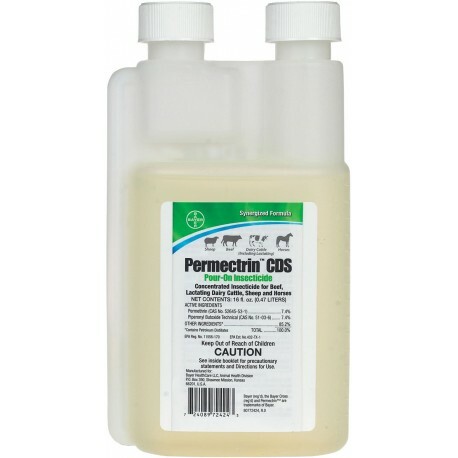 Controls lice and flies on cattle and keds on sheep. 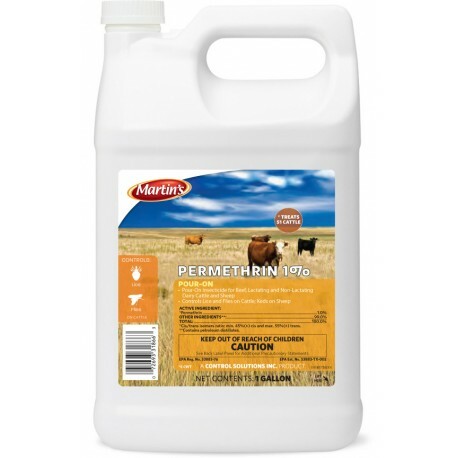 Control Solutions Permethrin 1% kills lice, horn flies, face flies on beef cattle, lactating and non-lactating dairy cattle; kills keds and lice on sheep. 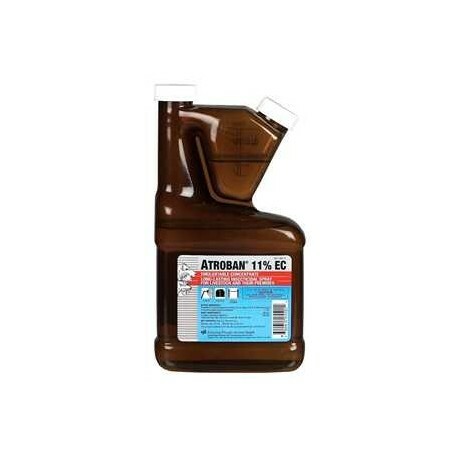 Can be used as a pour-on, back rubber or ready-to-use spray. 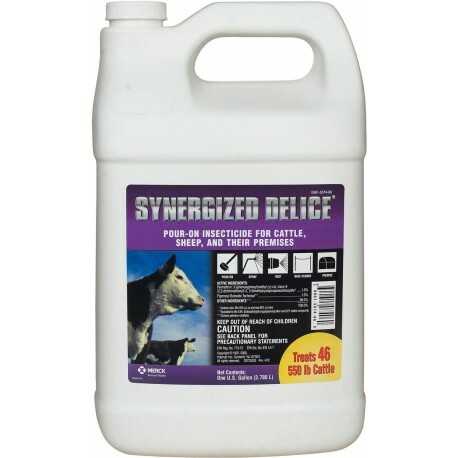 One gallon will treat 25 head of (1,000 lb) cattle. FOB charges may apply. A synergized formula with lambdachyalothrin and piperonyl butoxide for use in horn fly control on beef cattle and calves. 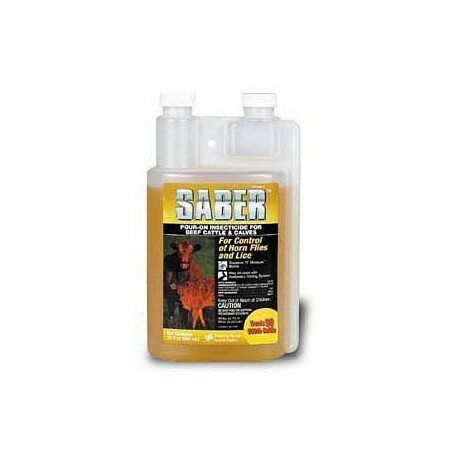 The enhanced insecticidal activity of synergized Lambdacyhalothrin allows quick knockdown and extended duration of efficacy against horn flies.PBO Makes Ultra Saber Fast Acting and Longer Lasting! Controls horn, face, stable, house and horse flies, mosquitoes, lice, ticks, and mange mites. Multi-species applications- lactating and non-lactating dairy cattle, beef cattle, horses, goats, sheep, swine and poultry. As a livestock spray, mix 1 pt per gal. water. 5 day withdrawal. An emulsifiable insecticide spray containing 10% permethrin. It is labeled for use directly onbeef cattle, dairy cattle, swine, horses, poultry and dogs, and their premises. 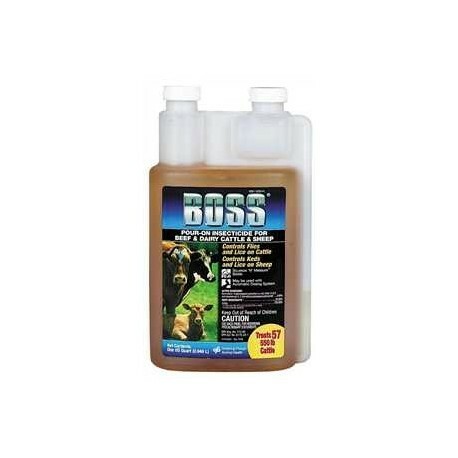 It provides up to 30 day residual effect against various pests including flies, lice, mites, mosquitoes, fleas and ticks, including deer ticks. Competitive Prices and Excellent Service! These are important factors to consider when doing business. At Livestock Concepts we are committed to offering you the "Best of Both"! Copyright © 2018 Heritage Animal Health. All rights reserved.